Based in Haslemere, we have a well-staffed and extensively stocked showroom, with over 15,000 soft furnishing, dress making, craft, haberdashery and bedding items to choose from. For over 62 years we have supplied our Surrey, Sussex and Hampshire customers with the very best in soft furnishings; in recent years we have expanded our product ranges to include bed linens, sewing items, dress fabrics, knitting and craft materials to provide the complete soft furnishing and craft store. Our Haslemere showroom is your one-stop shop for all your soft furnishing, bedding and haberdashery needs. You will find a huge range of essential, desirable and difficult-to-find items, with experienced staff that will take the time to help and advise you. We have one of the area's largest ranges of bedding, soft furnishings and haberdashery items. We stock most of the major manufacturers’ lines and in the unlikely event of not having what you need, we will be able to utilise our close working relationships with these suppliers to order it in for you. Unsure about what soft furnishings to have? Just ask our friendly team! We have been supplying homeowners and commercial business owners with the highest quality soft furnishings, haberdashery and bedding items for over 62 years. There is nothing we don’t know about furnishing properties, so if you need some advice and guidance, just ask our experienced and friendly shop team. 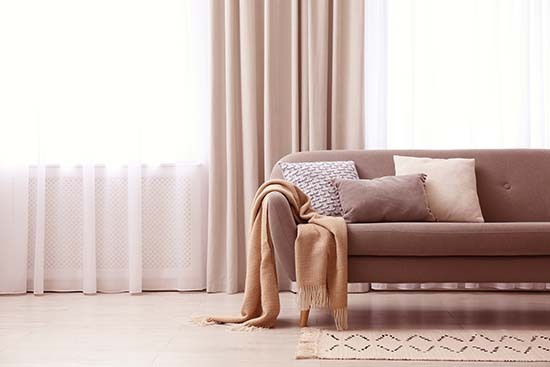 Based in Haslemere, we provide homeowners and commercial customers from across the three counties with the finest in soft furnishings, haberdashery and bedding items for very reasonable prices. If you would like any more information about our soft furnishings, haberdashery or bedding items, please do not hesitate to contact us or visit us in our Haslemere shop. One of our friendly team will gladly answer any questions and provide honest and impartial advice.